Through the U.S. Ambassadors Fund for Cultural Preservation (AFCP), the U.S. Department of State supports eligible countries around the world in the restoration of ancient and historic buildings, assessment and conservation of rare manuscripts and museum collections, preservation and protection of important archaeological sites, and the documentation of vanishing traditional craft techniques, indigenous languages, and traditional forms of expression such as music, dance, and languages. 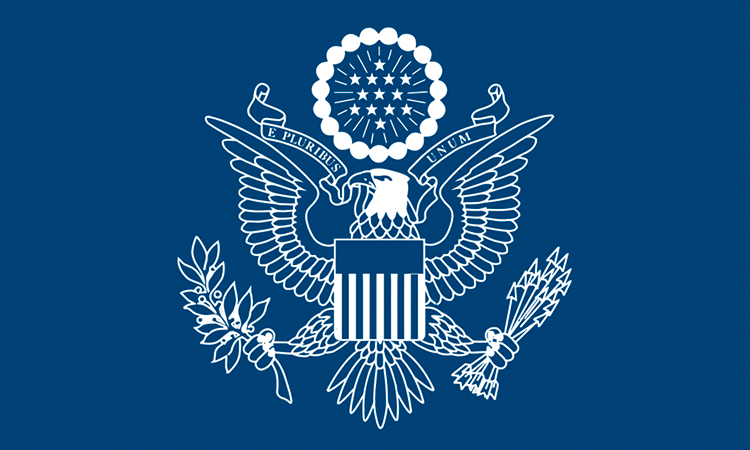 Created by the U.S. Congress in 2001, the AFCP permits ambassadors to submit proposals for one-time or recurring projects that assist countries in preserving their cultural heritage. So far, the Ambassadors Fund for Cultural Preservation has provided financial support to more than 640 cultural preservation projects in more than 100 countries. This accomplishment represents a contribution of nearly $26 million towards the preservation of cultural heritage worldwide. In Georgia, the AFCP has funded 14 preservation projects worth nearly $1 million, including a 2013 grant for USD $600,000 to preserve the Gelati Monastery, a registered UNESCO World Heritage site. Preservation projects have spanned large segments of Georgian cultural heritage from folk music to architecture and art to archaeology. Founded by King David IV The Builder in 1106, Gelati Monastery is one of the most important cultural landmarks of Georgia and is listed as a UNESCO World Heritage Site. Gelati Monastery marks the political and economic advancement and cultural achievements of the united Georgian state, which reached its peak during the reign of King David IV Builder. This project is a part of a larger site management plan that began with a diagnostic study of the frescoes in the Church of the Virgin in 2003, along with the subsequent conservation of the frescos of the St. Marine Chapel in 2012. The recent funding worth $600,000 incorporates the rehabilitation of the architectural structure of the Gelati Monastery including installation of handmade glazed ceramic tile roof, cleaning of stone slabs, conservation of the cornices, glazing of window openings, treatment of vegetation and biological deterioration of the stone facing, and monitoring and urgent conservation of the frescos in the interior of the church. The architectural rehabilitation to the Church of the Virgin – the most important and largest building of the monastery – will be a successful step towards the protection of the monastery and its further site management and maintenance. Consisting of several buildings from different periods, including the Church of the Virgin (12th c.), the Academy (12th c.), The Church of St. George (13th c.), and the Church of St. Nicholas (13th c.), Gelati Monastery displays the diversity of both Georgian ecclesiastic architecture and secular design. The main Church of the Virgin is a cross-domed construction with three apses projecting on the east. The narthex, the southern annex with the portal, and the east and west chapels were added later in the 12thcentury, whereas the northern annex with two chapels and two portals was built during the 13th century. The multi-layered paintings of the main church were executed using different mediums – mosaic and fresco – and date back to the 12th-19th centuries. They offer a unique glimpse of nearly the entire history of the development of Georgian church painting. In addition to its cultural, educational, and religious significance, Gelati was the burial place for Georgian kings and nobles and the repository of many significant artworks, now a precious part of museum collections. 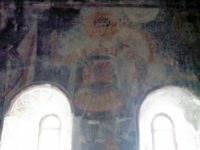 The 15th-16th century frescos at St. Marine Chapel are of major historical and cultural value to Georgia and, according to a diagnostic investigation funded by the AFCP in 2003, were under threat of total destruction. Considered a continuation of that project, this phase aimed to bring the previously elaborated conservation plan and recommendations for St. Marine Chapel into fruition preserving the frescos for future generations. This project, carried out by the Georgian Arts and Culture Center, involved the undertaking of numerous conservation works, namely emergency stabilization of the architectural structure, consolidation of plaster and paint layers, and removal of salts. Alongside conservation efforts, the project combined educational and promotional activities that gave an added social value to the initiative. Inscribed in the World Heritage List in 1994, the archeological site of Armaztsikhe on Bagineti Mountain represents the most ancient evidence of civilization in Greater Mtskheta – an ancient capital of the Georgian Kingdom. The city flourished in the Bronze Age (3000-2000 BC), and was the capital of the Georgian Kingdom from the fourth century BC to the sixth century AD. Mtskheta has been the cradle of both paganism and Christianity in Georgia and has retained its role as the main religious center of the country. Archeological excavations during the first half of the 20th century uncovered a cemetery from the Late Bronze-Early Iron Age (2nd-4th cc. ), tombs of nobles, a palace complex, a bath house, a ceramics workshop, and a wine cellar, which were judged by UNESCO to be a testament of “the high artistic and cultural level attained by this ancient kingdom.” However, early rehabilitation efforts were not sustainable due to a lack of quality materials and adequate preservation measures. 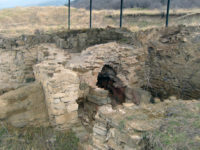 This AFCP project helped address these issues, improving the conservation of the remains on the Armaziskhevi archaeological site in Mtskheta, including the ruins dating from the 4th century BC. Activities included cleaning the site from overgrowth, conservation and structural fortification, installation of protective roofs over the excavation areas, and construction of a formal footpath and signage for visitors. The project protects this area for future visitors and enhances the tourist experience in Mtskheta. This project is concerned with the rehabilitation of two churches, St George’s Church at Arbo dating from the 10th-11th centuries and the late medieval Trinity Church at Tirdznisi. The single-nave St George’s Church at Arbo is an outstanding work of Georgian architecture and one of the most valuable cultural heritage sites in Shida (Inner) Kartli. This is attested by a large relief of an ox head on the east facade, which finds parallels in Georgian architecture with such significant monuments as Bolnisi Sioni and Svetitskhoveli. Both churches are located in a former buffer zone in Shida (Inner) Kartli, which became a conflict area in August 2008. The two sites thus faced a threat of destruction and were in critical need of rehabilitation. Thanks to AFCP funding, urgent conservation works were undertaken on the sites, and the restored churches regained their original function to serve as a great relief to the population living in the affected villages of the conflict region. The primary objective of this project was the safeguarding and preventive conservation treatment of eight manuscripts and ten icons at the Svaneti Museum of History and Ethnography along with improved storage conditions at the museum. The museum’s collection, which contains many examples of ceramics, jewelry, cult or religious objects and armaments, covers various material and movable heritage objects collected in the churches of such historical communities as Kala, Ipari, Mulakhi, Latali and Pari. Archaeological excavations in Svaneti indicate an active cultural and social life dating back to the 3rd century BC. 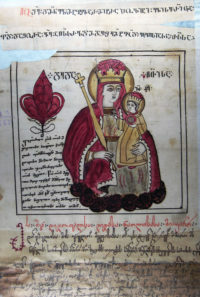 As a result of this project, the manuscripts and icons are no longer at risk of being damaged, and the museum was able to reopen its doors in July 2013. 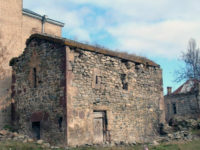 The Khovle settlement and cemetery is of great historical value for Georgia and the Caucasus, possibly containing three layers of historical artifacts from the Hellenistic, Roman and Medieval periods. Looting and extensive construction in the area made the investigation and protection of these sites a priority. 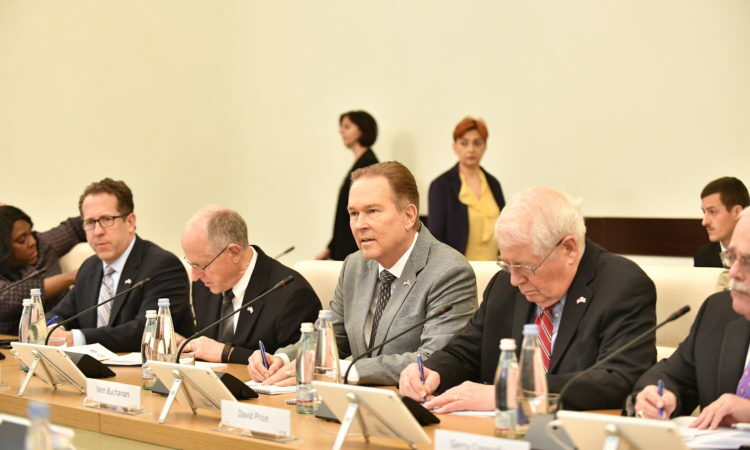 As such, the purpose of this project was to carry out urgent archaeological excavations of classical and medieval cemeteries and settlements in the village of Khovle. The artifacts uncovered at this site have some parallels with the those found in Armaztsikhe and in the cemetery of Pitiakshs leading archeologists to believe that the person buried in the Khovle tomb was a noble of high aristocracy who may have belonged to the family of Pitiakhshi. 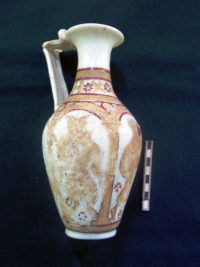 Their discovery also indicates that in the Classical Period, Georgia had cultural and trading contacts with the Greek, Roman, and Eastern world. The archaeological surface surveys may reveal new sites that enrich our collective knowledge about Georgian archaeology. The fresco fragments of Tetri Udabno Monastery – one of the most ancient monasteries in Georgia – are among the earliest and most unique examples of Georgian mural painting. In 1996 the members of Gareja Studies Centre discovered the small rock-cut complex, known as Tetri Udabno (White Desert), on the western outskirts of the Gareja Desert. Few caves now survive from the complex, but the most significant are two churches cut in the upper part of the massive cone-shaped rock. It was in one of these churches where the apse mural first resided. It has a few parallels in early medieval Eastern Christian painting in the Middle East and Egypt. The Georgian National Museum received AFCP funding to preserve the frescoes from the monastery. The preservation project included the survey, inventory, and restoration of fragments of frescoes dating from the 7th and 8th centuries. Among the earliest examples of Georgian mural painting, the fresco fragments have avoided further deterioration and have been reassembled enabling them to be publicly displayed for the first time in the National Museum of Georgia. The aim of this project was to provide proper storage for the textile and embroidery collections at the Shalva Amiranashvili Art Museum in Tbilisi. 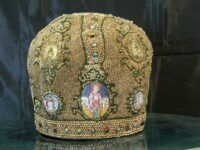 The collection includes 19th century textile objects embroidered with gold and silver and decorated with precious stones. There are over 5000 pieces in the collection, including ecclesiastical and heirloom objects, many from Georgia, but also of Persian and Byzantine origin. The historic value of the collection’s objects is strengthened additionally by the fact that the majority of them are executed or donated by historic figures such as queens, princesses and noblewomen. The project included digitizing the inventory as well as conservation activities and was featured on the front and back covers of the 2006/2007 AFCP annual report. Located at the crossroads of Asia and Europe, Tbilisi is rich with architectural, ethnic and religious diversity. In the oldest part of the city, Narikala, baths and caravanserais from the Middle Eastern tradition are juxtaposed with Gothic-style Catholic churches, fragments of Latin temples, European Baroque, Renaissance and Art Nouveau structures, and Tbilisi-style architecture. Due to this diverse heritage, the historical part of the city of Tbilisi is nominated for the world heritage list as an urban heritage site. This project provided support for the preservation of the historic center of Tbilisi by enabling the creation of a database of historic sites to assist the municipality in the urban planning process. Many historic buildings were under threat of being razed and replaced by new construction. Part of the project centered on holding meetings to raise awareness in the local community and creating informational materials for tourists. The project also included the creation of the Tbilisi Panoramic Cultural-Historic Route within Narikala, the development of a website on cultural historic sites of Tbilisi, and the publication of brochures, guides, maps, and information sheets on the route. The K. Kekelidze Institute of Manuscripts is the most important repository of historical manuscripts and documents in Georgia. It has a collection of about 9000 Georgian manuscripts written and copied in the 5th-19th centuries and about 4000 manuscripts in Russian, Armenian, Greek, Persian, Arabian, Syrian, and Old Hebrew. 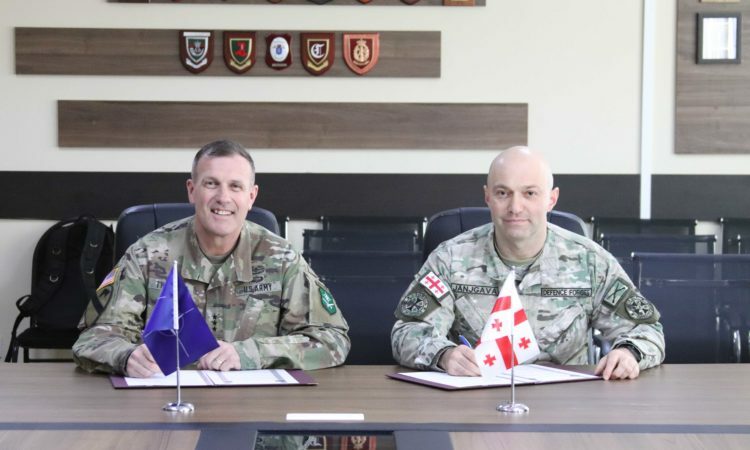 The AFCP supported a project to digitize and create a database of these historical documents, which allowed for the use of the documents without risk of damage to the originals. The collection also includes more than 300 manuscripts from the 11th to 16th centuries that deal with the most important issues of political, cultural, theological and economic history of Georgia when it was a unified kingdom (11th-15th cc.) and the transitional period (15th- 16th cc.) when it suspended its existence as a single kingdom. Built in the 7th century, the Ateni Sioni Church is one of the most important monuments of early Georgian Christian culture. The interior murals in the church, with their iconographic and stylistic character, are among the most significant treasures of Georgian culture. The church received AFCP funds to carry out urgent architectural conservation to preserve its 7th century structure and the 11th century murals. The Gelati Monastery, a major center of enlightenment in Georgia for many centuries, is the repository of many outstanding frescos. Gelati was one of the most important constructions built by Georgian King David the Builder during his lifetime. Apart from the political, educational, and religious importance of Gelati, the monastery is famous for the cultural, historical, and artistic value of the Byzantine and Eastern Christian medieval frescos. The goal of this project was to conduct a diagnostic study to determine the restoration needs of the frescos at Gelati Monastery, one of Georgia’s most significant monasteries. The research and planning for the treatment of the frescos, dating from the 12th-18th centuries, aimed to address problems such as pink coloring, fungus, and crystallization of salts on the paint surface. Due to its significant artistic and cultural value, Gelati is listed as a World Heritage Site by UNESCO. 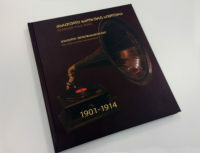 The chief purpose of this project was to gather recordings of Georgian folk songs from 1928 until the onset of World War II. These recordings, located in numerous archives throughout the country, were in danger of being lost due to the fragile nature of the media. Another activity associated with this project was to conduct recordings of archival Georgian folk music and produce compact disks for music libraries, music schools, and educational institutions throughout the world.